Rubicon Project , which operates one of the largest advertising marketplaces in the world, and Screenvision Media, a national cinema advertising leader, today announced they have formed a strategic alliance under which Screenvision Media will, for the first time ever, make select inventory available to automated buyers via Rubicon Project’s leading Guaranteed Orders platform. Screenvision Media is a national cinema advertising network covering 94 percent of US Designated Market Areas in all 50 states and reaching over 40 million highly engaged moviegoers each month. Combining Screenvision Media’s reach and captive audience with Rubicon Project’s leading Guaranteed Orders platform enables advertisers to purchase select inventory to reach moviegoers in an Automated Guaranteed environment. This strategic deployment will facilitate access to premium video inventory on the 40 foot screen, and will serve to complement the momentum of cinema advertising’s exponential growth and momentum1. 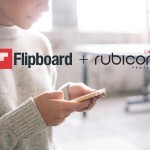 The alliance announced with Screenvision Media further extends Rubicon Project’s digital place-based offering in its ongoing efforts to automate the entire digital advertising ecosystem. Today, Rubicon Project, through its strategic relationships with leading providers such as AdMore, Adspace Networks, Inc., Captivate, BITPOSTER, and now Screenvision Media, is able to target audiences with video on nearly every screen they interact with on a regular basis including in malls, elevators, lobbies, cinemas, digital billboards, television, desktop and mobile devices. Headquartered in New York, N.Y., Screenvision Media is a national leader in cinema advertising, offering on-screen advertising, in-lobby promotions and integrated marketing programs to national, regional and local advertisers and providing comprehensive cinema advertising representation services to top tier theatrical exhibitors presenting the highest quality moviegoing experience. The Screenvision Media cinema advertising network is comprised of 14,300 screens in 2,300+ theater locations across all 50 states and 94% of DMAs nationwide; delivering through more than 150 theatrical circuits, including 6 of the top 10 exhibitor companies. For more information: http://screenvisionmedia.com/.